Is pretty awesome. If you aren’t reading this, you really should. Here’s a bit of the latest translated volume. Watch the girl and see if you can figure out what’s happening. So. 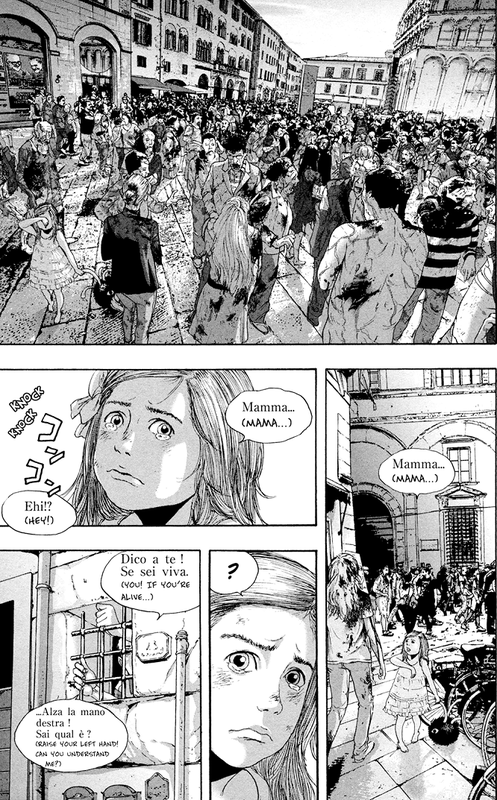 Speaking of zombie fiction, I just read a zombie manga, I am a Hero that’s surprisingly well constructed. One of my issues with zombie fiction is people failing to take into account how zombies function. They might learn some factoid (like the popular “zombies are attracted to noise”) and there might be a scenario where people even use that to their advantage, but then they forget about it again. Here, people seem to learn and carry forward those lessons. Also, these zombies are actually a lot less predictable than the standard ones, so they’re far harder to deal with.